By identifying the sea serpent of Loch Ness, Scotland, as a familiar species of whale, naturalists have just shown how easily the human eye may be fooled into thinking it sees an unfamiliar monster. Worldwide interest was drawn to Loch Ness, within recent months, by repeated eyewitness reports of a long-necked, aquatic apparition of huge size, resembling no known marine animal. Finally Dr. Robert K. Wilson, noted British surgeon, managed to get a snapshot of the fabulous creature, and the mystery vanished. 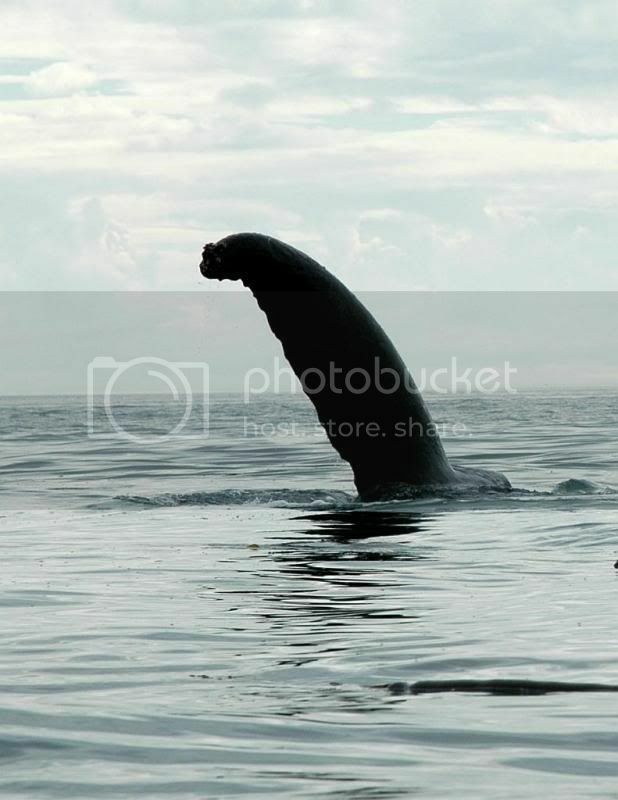 The picture showed the curved fin of a killer whale projecting in typical fashion from the water strongly suggesting an elongated neck and head. According to Dr. Roy Chapman Andrews, noted explorer and zoologist, and others who agreed on this identification, the wrhale evidently had strayed up an inlet from the sea into the lake. This was the second sea monster mystery to be cleared up recently. Examination showed a strange marine creature, washed up dead on French shores near Cherbourg (P.S.M., May, ’34, p. 38), to be a basking shark of a common species, made almost unrecognizable by the waves. Well, I guess that mystery is solved for all time! That’s an interesting explanation. I’m suprised I never heard of it before. I’m impressed, though. This PS article is contemporary. it cent by dit dee find a whale ???? Have always believed it to be a whale. More likely something larger than a killer whale. If you have ever been lucky enough to watch whales in the wild you would see that they have look massive pectoral fin that they stick out of the water swimming sideways. If you see, the fin is much larger than the loch ness monster neck, and plus, did you see the loch ness monster go —> way? if so, than its not the whale, as u see, the fin is carved –> way, but the head is <— way. if it started swimming <—way, than the loch ness monster would go backwards. No mysterys solved man no mystery solved. Also why don’t scientist just say there is a loch ness monster? they proved that giant squid was real. If scientist just say their not real, then they probably DONT want them to be real. well i have yet to see vid footage of his head out that was clear. Just going by photos Ive seen and most have not been that great. I don’t doubt that there is a Nessie like creature out there Russell. loads of stuff have survived, evolved over the years. Who knows whats deep in the forests of the world. Scientists will never say one way or another until there is solid proof. same thing happened when they found the giant squids, and mountain gorillas. Pre-twentieth century descriptions of the Loch Ness Monster describe it more as a large fish. Russel sea turtles do not live long because they are herbivores but because (as in the case of all turtles and tortoises) their cells don’t age like those of other animals. Carnivorous snapping turtles are known to live for well over a hundred years and more likely die from a run in with a automobile or motorboat than any other cuase. Sharks are the same way. Once a shark reaches a few feet in lenght its growth slows to just a few inches per year. Great whites over 40 foot are estimated to be over 100 years old and whale sharks over 60 foot are estimated to 150 years old or older. Some large deep water sharks may live to be over 300. Also ich glaube nicht das es das Monster gab bzw vieleicht immer noch gibt. Aber ein Elefant kann es auch nicht sein denn ein Elefannt kann nicht so lange im Wasser überleben allso iis doch alles iemLich unwahrscheinlich. Right, so now whales are freshwater animals are they??? Stupid story – there is no salt water in Loch Ness, plus the ‘nessie’ pic they are comparing it to is a know hoax. We are supposed to believe that there is no Loch Ness monster in there, just a collany of breeding whales that no-one ever spotted! By the way, there isn’t enough food in Loch Ness for a single whale, let alone a whole family who somehow survive in freshwater in a Loch!! LMAO!!!! Never shall i beleive that the loch ness monster is JUST a whale. The loch Ness monster is real and NOTHING can stop me from proving that what you say isn’t true!!!!!!!!!!!!!!!!!!!!!!!!!!!!!!!!!!!!!!!!!!!!!!!!!!!!!!!!!!!!!!!!!!!!!!!!!!!!!!!!!!!!!! cause you is a liar!!!!!!!!!!!!!!!!!!! SIR BOB THE BELEIVER is proof that you shouldn’t eat lead paint. It’s spelled “Believer” by the way. If it is the fin of the whale, it should be moving forward thus creating ripples at its back. But according to the theory of the zoologists and scientists, they are saying that whale had been swimming backwards as described in the picture !!!! Honestly, I don’t know if Nessie did existed years ago (Like a surviving dinosaur or else), but currently there can’t be such a creature. 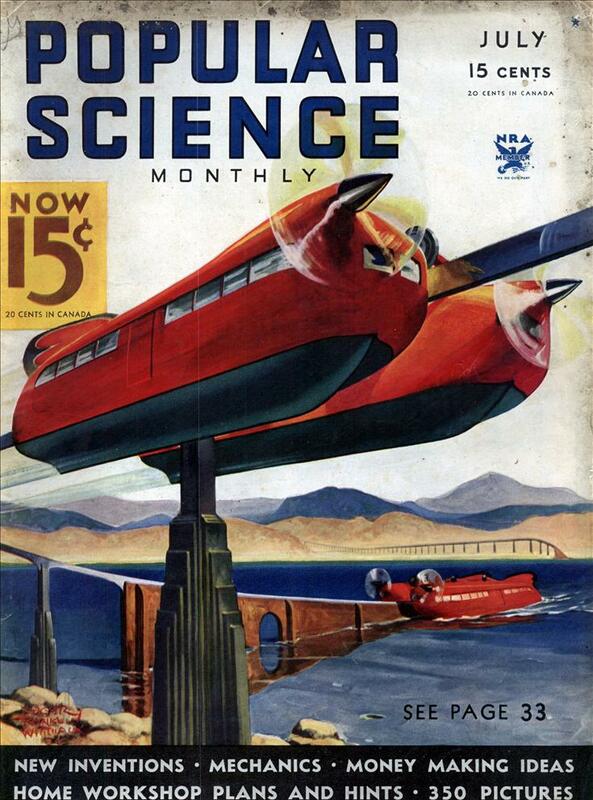 I wish, seriously, I wish… But let’s be honest with ourselves, no matter how dark the water is, the current technologies and knowledge would have proved it. Bella, it is NOT a good explanation. If the loth ness monster REALLY is that fin, than the whale would’ve been swimming BACKWARDS! Just look at the head of the whale and the direction the fin is pointing. This explanation is FALSE. 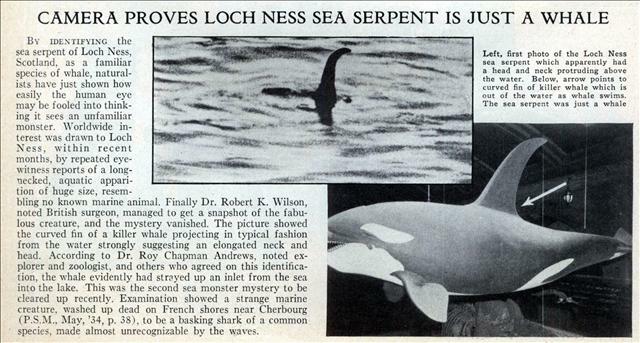 As most of the LochNess explanations, mostly I think photographs were staged by 20’s “conmen”. 1] I’m not sure that whales *can’t* swim backwards. I’m pretty sure that wouldn’t a a big problem over short distances. The German mentions a more interesting if ultimately wrong explanation, that it was a swimming elephant. http://www.cryptomundo…. That it was a hoax isn’t surprising. They sucked in professionals with hippo teeth and an animal jaw for the Piltdown Man. With only a images to work with, this could have gone on for centuries. as u can see the fin on the killer wale is large and only qite curved as on the pic of the loss ness monster it is fin and much more curved.as the killer whale cannot survive and would have been seen with its head above the water more than once. If these scientists are “right” (which they aren’t), then either the Loch Ness Monster swims backwards, or the whale swims backwards.